Rich oily product, ideal for dry skin, gently removes all traces of wax from the skin while moisturizing. It sooths the skin and calms the normal redness that can occur when waxing. Ideal to complete depilation with a long massage. with its known healing properties protects, hydrates and sooths. 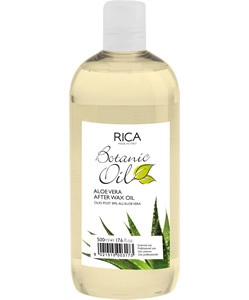 Botanic Oils that gently removes all traces of wax, nourishing and soothing the skin after depilation. It calms and sooths the skin after depilation.